Nearly half of U.S. transit riders find wireless internet availability to be an important factor in their decision to use public transport, a new study indicates. Photo by Brian Pennington. Nearly half of public transit customers in the Midwest and East Coast United States find wireless Internet availability to be an important factor in deciding to use public transit, new research from DePaul University in Chicago finds. Researchers surveyed more than 1,000 U.S. bus riders to find that 43.1 percent of riders in the Midwest and 52.1 percent of riders on the East Coast consider Wi-Fi availability to be an important factor in the decision to use public transport. 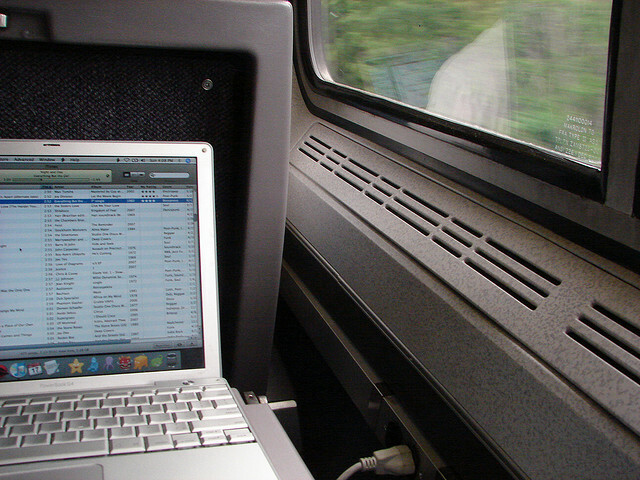 This research coincides with Amtrak’s recently announced plans to add Wi-Fi to its regional train services. The DePaul survey also broadly assessed the use of electronic devices and found that roughly 91 percent of commuters plan to use electronic devices during their trips, with 72.4 percent anticipating making cell phone calls, 59.3 percent anticipating using music, and 48.9 percent anticipating using email or texting services. Volvo achieved the greatest new vehicle carbon emission reductions of any European auto manufacturer in 2010, determined new analysis by the European Federation for Transport Environment. The Swedish car company’s CO2 emission reductions totaled 9 percent across its collection of new car models. The total new car CO2 emissions of all European auto outfits dropped by 3.7 percent, decreasing Europe’s average new car emission calculation to 140 grams per kilometer. The four European car companies with the lowest CO2 emitting fleets remained the same, with Fiat at 126 grams per kilometer, followed by Toyota, PSA, and Renault. Europe’s current auto industry plan calls for a CO2 emissions reduction to an average of 130 grams per kilometer by 2015.